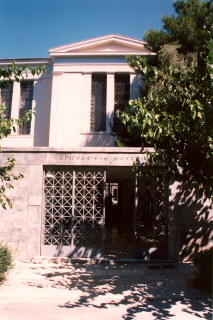 The Epigraphical Museum was founded in 1885 and it was established in the ground floor of the building of the National Archaeological Museum, which was constructed between 1866 and 1889, according to architectural plans by L.Lange and E.Ziller. It was renovated and extended in six new rooms, during the years 1953-1960, according to plans of the architect P.Karantinos. It comprises a collection of Attic inscriptions and also a collection of inscriptions from other districts of Greece.